So, you are now considering about getting either Oakley Flight Deck or Oakley Canopy. Both of these two goggles are very popular on the market. Oakley Flight Deck is a newer model which boasts some of the company’s latest features, such as the interchangeable lens system. On the other hand, Oakley Canopy is an older model that offers excellent field of view and is available at a more affordable price point. Which model does make the best value for the money? 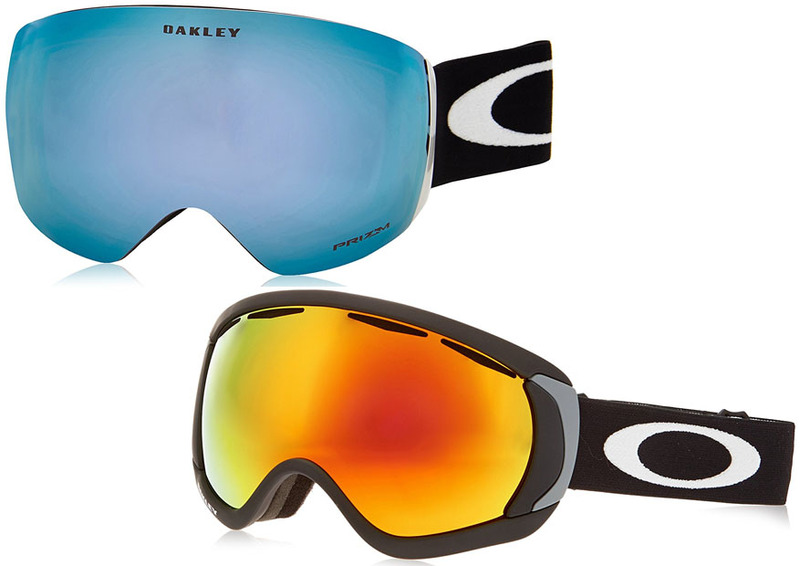 Below, you can see the comparisons between Oakley Flight Deck vs Canopy, so continue reading! If you look closely, you can see that Oakley Flight Deck is a little bit larger than Oakley Canopy. The lens is taller up and down, and it is also a little bit wider. So, Oakley Flight Deck would be great for a user whose face is more on the larger side. But it may be a little bit too large if your face is more on the narrower side. However, not many people have this issue, so you probably will find that the goggle fit well on your face. There is another variant that is slightly smaller, see Oakley Flight Deck vs XM. Oakley Canopy is great if you prefer a slimmer and more compact goggle. It is a little bit smaller, so it can fit better if you have a smaller face. Of course, both goggles are equipped with the flexible O Matter frame which conforms to the shape of the face to enhance the fit and comfort. The injection molded polycarbonate frame provides a precise contouring with an optically correct geometry. Both models have a discreet frame that notches at the temple area to allow compatibility with most RX eyewear frames. Oakley Oakley comes with the company’s patented O Flow Arch technology which enables easy, unrestricted breathing and airflow. Both Oakley Flight Deck and Oakley Canopy are available in several different variants with different lenses. There are different lenses with different characteristics and benefits, suitable for different purposes. For those sunny days, the black or grey iridium lens would be great. For overcast/flatlight, you should get something with high intensity yellow or persimmon or the new Prism Rose lens. Oakley Canopy does not have the interchangeable lens system. So, if you want to have several different lenses, you have to purchase the goggles altogether. Oakley Flight Deck is awesome because it comes with an interchangeable lens system. You can release the lens and insert another one that is more suitable for the condition at hand. So, instead of buying multiple goggles, you can just buy the lenses, which are slightly cheaper. Finally, the difference between Oakley Flight Deck vs Canopy is about the field of view. As explained above, Oakley Flight Deck is a little bit larger. That alone already allows for a wider field of view. However, Oakley Canopy’s lens is surrounded by the rim of the frame. So, the peripheral vision is blocked by the rim of the frame. On the other hand, Oakley Flight Deck comes with a rimless design. So, the peripheral vision is better. Between these two models, Oakley Flight Deck is much more recommended. It has a better design which allows for a wider field of view and better peripheral vision, thanks to the rimless design. In addition, it has an interchangeable lens system.